I’ve been wanting to try a Griffin’s Lair Syrah for quite a while. If you’re a cool climate Syrah aficionado you can’t have not heard of this vineyard. Set right on a hill in the southeastern end of the Sonoma Coast’s Petaluma Gap, it’s a vineyard that’s got some serious fruit and the price tag associated with that. Which, of course means that the wines that come out of this vineyard aren’t exactly cheap. Bedrock Wine Company makes one that isn’t too crazy expensive so I decided to go for it and buy one of Morgan Twain-Peterson’s creations. And what a wine. The purity of fruit is spectacular with this wine. It’s got this incredible balance. The nose is bright, bright blackberry with some savory elements with minerality and floral aromas. There’s also a hint of bay laurel on this wine. The mid-palate is so perfect, I don’t know how else to describe it. Everything is in balance for my palate. The finish has this elegant dryness that’s far from overly present. It’s a full and somewhat rich wine with great savory components. This wine begs for rich lamb dishes and stewed pork. I’m actually thinking that any Indian dishes would go perfectly with this wine. This wine could handle it. Twain-Peterson continues to impress me with his deft hand with wines from varied vineyard sources. His wines have an honesty about them that reflect their origins. Again a hiatus from the blog for a couple of weeks has made me want to kick things back off with a bang. I’m trying not to make a habit out of these breaks from the blog but my latest excuse is that my current obsession with Golden State Warriors basketball hasn’t done my wine writing any favors. Now that the young Warriors have been undone by the aging Spurs, I have sworn off basketball for the rest of the season and I’m back in the blog game. I’ve been wanting to try one of the higher end Piedrasassi Syrahs for quite a while. I’ve had their more budget-friendly Syrah more than a few times and although I definitely wouldn’t call it cool climate, it’s a delicious honest Syrah. The 2009 Central Coast Syrah is also honest. 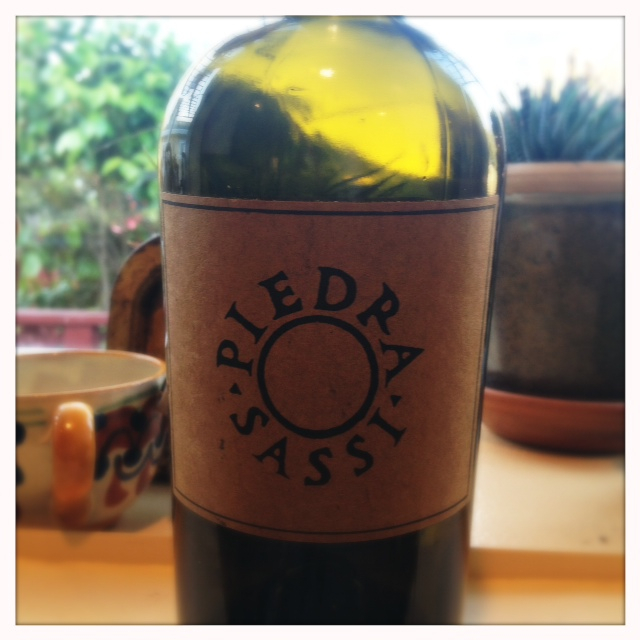 It’s got a lot of those cool-climate characteristics I love and a pure core of acidity on the palate. On the nose the wine has a beautiful floral aroma and bright blackberry. There’s black pepper and anise too. The finish is just about perfectly balanced for my taste and is extremely food-friendly. 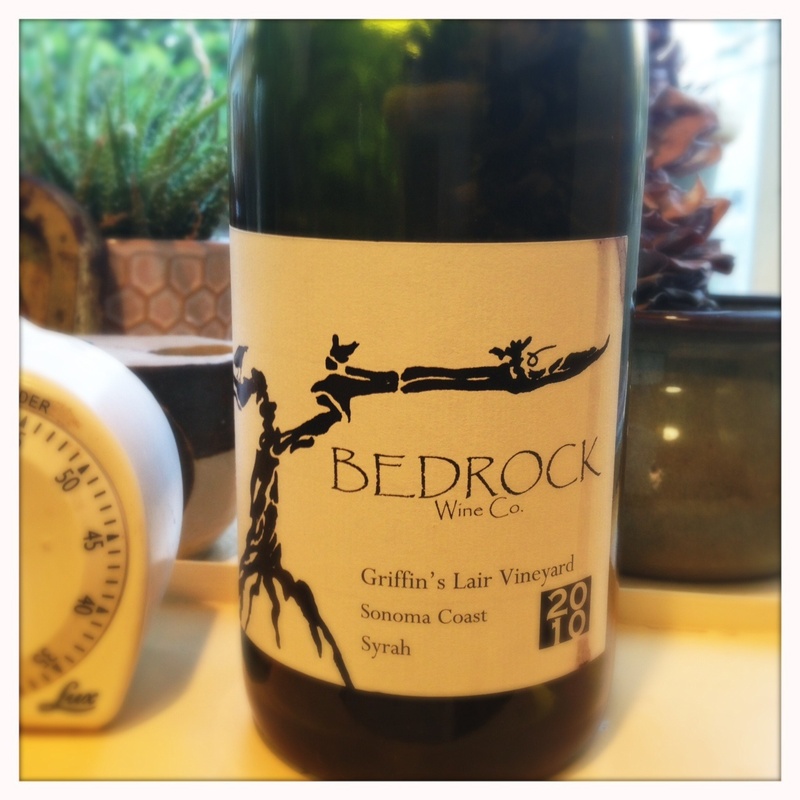 This is another versatile Syrah, yes, although I get tired of the Syrah-only-goes-with-barbeque paradigm, this is a wine that actually would go well-grilled food. I could see it also matching well with richer chicken and fish dishes. For this vintage, winemaker Sashi Moorman wanted to accentuate the savory side of these particular vineyards, so this wine also has some stem inclusion to add aromatic complexity. It’s a vineyard blend from Harrison Clarke, Sebastiano, Rim Rock and La Purisima Syrah vineyards. He picked earlier than most of his other Santa Rita hills counterparts and the wine was aged in 100% neutral oak. Moorman’s made quite a name for himself as a low alcohol aficionado, which is a philosophy you can probably guess I agree with. You can read about it more about it here on Blake Gray’s article for Wine Review Online (per usual, the comments are just as interesting as the article). This wine is a great example of Moorman’s idea that grapes picked at a lower alcohol level can develop into wines with just as much flavor and complexity as grapes that are left to hang on the vines longer to develop phenolic ripeness. This wine is packed with flavor and aromatic intensity. The acidity that’s present as a result of the earlier picking also adds to the complexity of the mid-palate and it makes you wonder, as Moorman does, how anyone would decide to wait longer to pick. I can’t wait to try more of Moorman’s wines. He’s got a deft hand with Syrah and it’s a style that’s right up my alley.